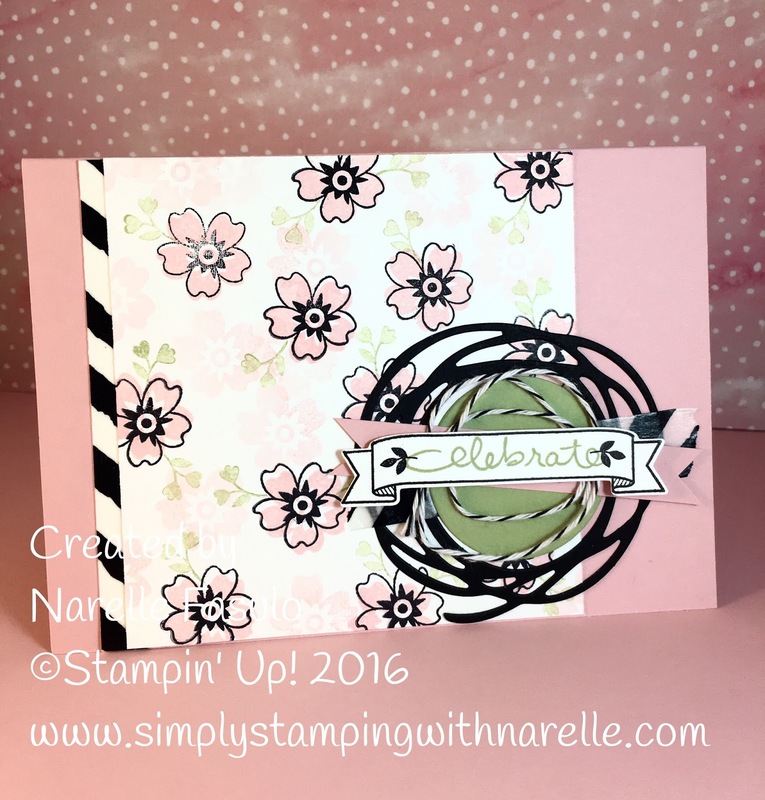 You know how sometimes you can have what seems like a million pieces of patterned paper, but none of them seem to be what you need. At times like that, why not just make your own. A few weeks ago I had a design for a card in mind, but out of all the paper I have, I just couldn't find what I wanted. Let me just put this on the record - I am a paper hoarder. Yep. I struggle to cut up the pretty papers, so believe me when I say that I have a lot of paper. But I had a specific design in mind and none of my papers were working. So I made my own. See the white paper with the flowers on it, that is the paper that I made. I couldn't find a paper in my stash that was clean, crisp and simple like this. This paper was so easy to do. 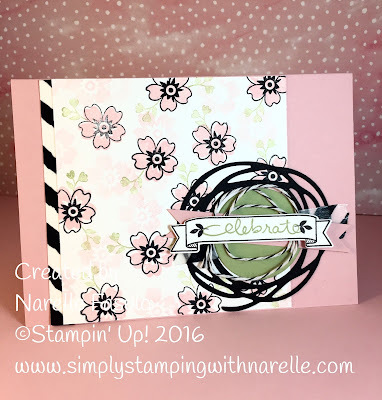 Just stamp a few images repeatedly, and you have the perfect paper to suit your design. 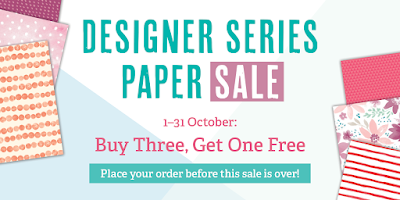 Don't have time to make your own paper, or don't want to, then grab some of our Designer Series Paper while we have the Buy 3 get the 4th FREE offer on. Just click on the image below to see what papers are included.